Williamson Group Sotheby’s International Realty specializes in the real estate of the Upper Valley. We work with both buyers and sellers supporting the Upper Valley Real Estate Market. 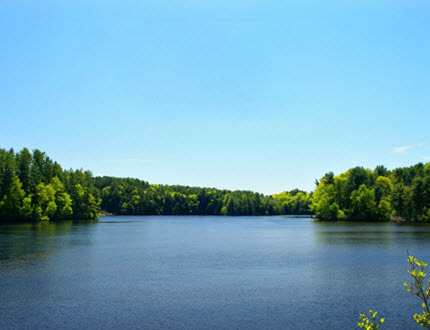 We are a real estate company located on the Vermont side of the Connecticut River. We are licensed to represent sellers and buyers in Vermont and can work with buyers looking for properties in either Vermont or New Hampshire. For over 30 years Williamson Group Sotheby’s International Realty has been considered one of the premier real estate companies in the Upper Valley area. This is an overview guide to the Upper Valley. We would be happy to tour the area with you and invite you to use our website to identify properties within the wonderful Upper Valley of New Hampshire and Vermont. Here is a direct link to the Real Estate for sale in the Upper Valley. The Upper Valley real estate market spans across more than 20 unique communities. The center of the area encompasses the towns of Hanover and Lebanon in New Hampshire and White River Junction in Vermont. The area is serviced by two major Interstates. Interstate 89 starts at Interstate 93 near Concord, New Hampshire and travels in a north-west direction to and then through Vermont. Interstate 91 travels along the border between New Hampshire and Vermont. Hanover is the home of Dartmouth College and has a vibrant downtown area. Lebanon is a commercial center and has an excellent blend of old historic buildings and new and modern retail shopping establishments. The Dartmouth-Hitchcock Medical Center (DHMC) is also located in Lebanon, New Hampshire. This is New Hampshire’s only academic medical center considered to be the preeminent tertiary care center in New England outside Boston. DHMC provides a full spectrum of health care and is the home to the Norris Cotton Cancer Center and the Children’s Hospital at Dartmouth (CHaD). Both Dartmouth College and the Dartmouth-Hitchcock Medical Center significantly add to the quality of life in the Upper Valley. The real estate of the Upper Valley has large private estates where you cannot see another home to wonderful downtown properties where you may walk to vibrant historic and charming downtowns areas such as in the communities of Woodstock, Vermont and Hanover, New Hampshire. The area is noted for its fast moving mountain streams and its many operating farms which add to the rural feel of the surrounding area. At the same time there are superb cultural experiences in abundance. If you would like to visit an art museum, Hanover offers the Hood Museum of Art. The Hood attracts special exhibits and has an excellent permanent collection of art from around the world. Across the Connecticut River in Norwich, Vermont is the Montshire Museum of Science. The communities of the Upper Valley have much to offer. Below we have highlighted some of the great reasons why living in the Upper Valley is so special. The schools of the towns of the Upper Valley are highly rated and are well supported by the individual communities. The variety of the four seasons means that there is a wide range of sports that children may participate in. Soccer, Football and Field Hockey are key fall sports which lead into skiing, skating, ice hockey and basketball in the winter. In the spring the sports turn to baseball, track and field and lacrosse. There are also has a number of excellent private schools such as Kimball Union Academy in Meriden, Cardigan Mountain School in Canaan, Crossroads Academy in Lyme, Mid Vermont Christian School in Quechee, Vermont and Thetford Academy at the height of Thetford Hill in Thetford, Vermont. The Upper Valley has a number of outstanding medical facilities. The Dartmouth-Hitchcock Medical Center is the largest full-service hospital between Boston and Montreal. 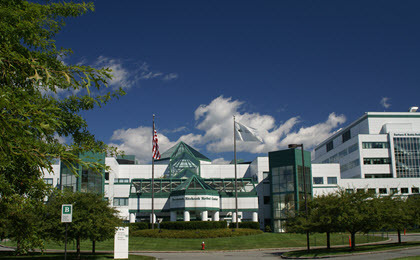 DHMC is a state-of-the-art medical facility in Lebanon, New Hampshire. 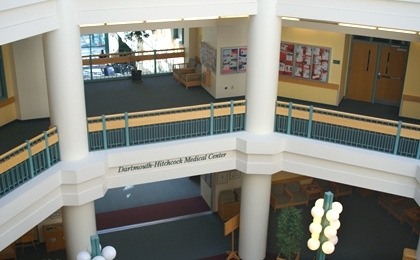 Dartmouth Medical School is closely associated with DHMC. The Dartmouth Medical School is the nation’s forth oldest medical school and continues to build on its legacy of excellence. It draws on the vast resources of Dartmouth College and DHMC and is able to advance interdisciplinary programs in biomedical research, education and patient care service. Alice Peck Day Memorial Hospital started as a small hospital in Lebanon, New Hampshire in 1932 and has grown with the community. This well respected hospital offers primary care, independent and assisted living, rehabilitative care and neurosurgery. Mt. Ascutney Hospital in Windsor, Vermont serves the communities of the Upper Valley. This hospital offers a wide array of classes ranging from childbirth and infant massage classes to defensive driving classes and CPR. It is known for its inpatient and outpatient rehabilitation services as well as for the primary care clinic, the Ottauquechee Health Center, it staffs and operates in Woodstock, Vermont. The Veterans Administration Medical Center is located in White River Junction. The VA Medical Center enables veterans and their beneficiaries easy access to the both health care and benefits. The White River Junction VAMC is affiliated with the Dartmouth Medical School and the University of Vermont Medical School. West Lebanon, New Hampshire is the center of the Upper Valley shopping scene. The big box stores are present and many favorite retailers can be found there. There are many places to socialize in the Lebanon area and the major fast food chains are well represented. The downtowns of Hanover, NH, Norwich, VT and Woodstock, VT offer a nice selection of high end boutiques and restaurants for those with tastes beyond the major department stores. If you like the outdoors then the Upper Valley is a great place to live! There are a number of waterways in the area and also some significant lakes. The mountains of both New Hampshire and Vermont are close by. The Appalachian Trail winds through the heart of the area. There are numerous short day hikes and one can gain easy access to the Vermont Long Trail as well.ell. Within the Upper Valley it is possible to find a very wide variety of fresh water fishing experiences. The Upper Valley has an abundance of small pristine streams that contain brook trout. Or one can wade into a freestone river for rainbows and browns or fish for lunker trout and smallmouth bass. There are even deepwater lakes where one might catch a landlocked salmon. The Upper Valley has something for every fisherman. The main waterway of the Upper Valley is of course the Connecticut River. The Connecticut River and roads along it have now been recognized nationally as a byway. The traditions of the Connecticut River Valley are deeply rooted. The history is vivid, it is rooted in a farming heritage, the valley has a strong cultural energy and the people respect the environment and have a keen desire to maintain this natural setting of unparalleled beauty. Beginning in cold springs high in the Great North Woods, the Connecticut River quickly gathers volume and takes on multiple personalities. It turns sedately through vast pools and lazy eddies, then dashes down between boulders. Canoeists and kayakers can choose either swift, challenging water, or a quiet, flat-water paddle. On nearby lakes, ponds and rivers there is plenty more for the kayaking or canoeing explorer. Paddle the beautiful waterways of the Upper Valley. You’ll experience the spectacular scenery and wildlife all from the comfort of your kayak or canoe. The largest ski area in the East – Killington – is just to the west of the Upper Valley. It is a short and pleasant drive from anywhere in the Upper Valley. There are many other fine ski resorts within an easy drive of each other. The central Vermont area is a snow rider’s paradise. Also the main ski areas of New Hampshire are within easy reach of the Upper Valley. The Upper Valley also enjoys a number of fine cross country ski areas where you can get out into the woods on well marked and well maintained trails. The area golf courses also allow cross country skiing and some also set up ski skating tracks. The Upper Valley is close to many fine ski resorts. A strong point of the Upper Valley is its wealth of cultural activities. In Hanover, the Hopkins Center for Performing and Creative Arts which is known as “The Hop” features a wide variety of theatrical, musical and fine art events. Adjacent to the Hop is the Hood Museum of Art which has an excellent permanent collection of art from around the world. The Montshire Museum of Science is across the Connecticut River in Norwich. It is a museum well suited for children but loved by adults as well. Down the Connecticut River on the New Hampshire side in Cornish is Saint Gaudens Park. This is a national historic site which was once the home of Augustus St. Gaudens. During the summer, this site hosts sculpture workshops, exhibits and classical music concerts. The lovely gardens are a special treat. There are also a number of fine theater groups in the area. One notable performing arts group is Opera North a regional opera company whose performance home is the Briggs Opera House in Lebanon, NH. Opera North began as a community opera group and has since morphed into a summer opera intern program which, with the help of several professionals and the musical expertise of Dartmouth faculty, stages two different operas each August. Pentangle Arts Council in Woodstock, Vermont offers outstanding performances year round at the historic Town Hall Theater and also shows a film each weekend. .
Also, the Yoh Theater at the Woodstock Union High School is very active and presents a number of fine performances year academic year. 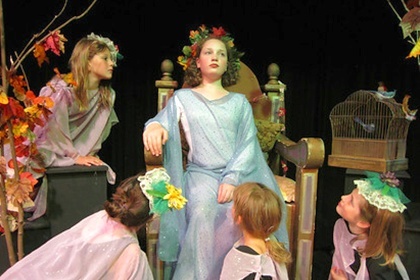 This fine art program enables Woodstock Union Middle School and High School students to perform in plays and other types of performances in front of a large audience on a large stage. This provides Woodstock area students with the opportunity to learn about drama, theater arts, technical theater and the design of stage scenery and props. This is a small sample of the various performing arts groups here in the Upper Valley. We encourage you to explore the area from this perspective and are sure you will find experiences and performances pleasing to a wide variety of audiences. The Upper Valley is essentially centered at the intersections of Interstates 89 and 91. This is the only convergence of two major Interstates “I-89 and I-91” that does not occur in a major metropolitan city. The Lebanon Municipal Airport has daily flights to New York City and Boston. Manchester/Boston regional airport located in Manchester NH is an easy commute from the Upper Valley. There are daily shuttle services to Manchester Airport and Boston is just a two hour commute by car. The Weather – Four Fabulous Seasons! We have four distinct and beautiful seasons. Each season has its own character and appeal. Spring is time to squeeze in that last ski run — in a t-shirt! Then come the fragrant lilacs, yellow forsythia, daffodils and flowering trees. There is an enviable continuity of life in New England. Spring comes after each winter with a magic that occurs only after a winter that contrasts so nicely with the spring. Many people in the Upper Valley enjoy gardening, organizing their yards and in general just getting out doors. The Upper Valley is on the same latitude as Tuscany in Italy so summers are warm and sunny. Expect bright blue skies, green forests and colorful flowers. Generally, day time temperatures are comfortable with an occasional ‘heat wave’ yet the green canopies and cool-water mountain streams means the temperature is very comfortable during the day and you may need a sweater in the evening. The Upper Valley is perfect for endless outdoor summer adventures or just to relax and do nothing at all! In fall (autumn), The Upper Valley is famous for its glorious foliage as leaves change from green to a kaleidoscope of colors. The air is crisp and cool – perfect for hiking, biking or a pleasant drive along back roads, where farm stands are piled high with crunchy apples and orange pumpkins. The leaves start turning colors around mid-to-late September and peak colors occur in early to mid-October. Fall in the Upper Valley is a special time of the year. In some years we have what we call Indian Summer when temperatures are very warm and the fall foliage colors are in full bloom – this is the best of summer and fall mixed together! The Upper Valley sparkles in winter. Blanketed in snow, classic New England white church steeples stand out against a deep blue sky. It is great for photographs! For winter sports fans — it’s playtime! Skiing, skating, snowboarding, snowshoeing, cross-country skiing and more – all are available throughout the Upper Valley region. At the end of the day, cozy up by the fireplace with a nice warm drink and your favorite book. Williamson Group Sotheby’s International Realty invites you to the Upper Valley. Please contact us if you are considering a move to this special area. We would be very pleased to assist you. This is just an overview of the Upper Valley and we would be happy to provide even more information about what to see and do here in the Upper Valley of Connecticut River. It is a wonderful place to live.